The Tour Edge Exotics CBX fairway features an advanced beta titanium cup face that is combo-brazed to a hypersteel body for precise weight placement and center of gravity position. Variable Face Thickness Technology delivers exceptional power from more contact points while the Speed Ramp Sole minimizes turf interaction to maintain maximum club head speed through impact. 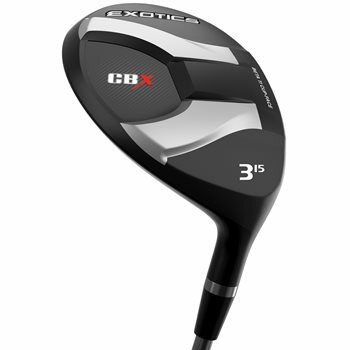 The combination of superior multi-materials and precise engineering makes the CBX a spin-killing distance machine. Independent testing proves the CBX fairway wood outdistances its most popular competitors an average of over 16 yards.